Over his lifetime, Stephen R. Covey inspired millions with the power of universal principles. As he travelled the globe many times over, his message was a simple one: for true success and meaning in life, we must be principle-centered in all areas of life. A teacher at heart, he often taught: "there are three constants in life: change, choice and principles." From the oval office, the board room, community halls and to the school house and family room, he taught the mindset, skillset and toolset found in The 7 Habits of Highly Effective People, his seminal work. His legacy is woven in the 7 habits, and, just as these habits are universal and timeless, so is Stephen R. Covey, who is admired around the world for his simple, yet powerful, universal, timeless teachings. Recognized as one of Time magazine's 25 most influential Americans, Stephen R. Covey was one of the world's foremost leadership authorities, organizational experts, and thought leaders. 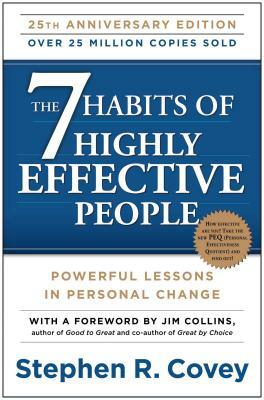 Forbes magazine named The 7 Habits of Highly Effective People one of the top 10 most influential management books ever.